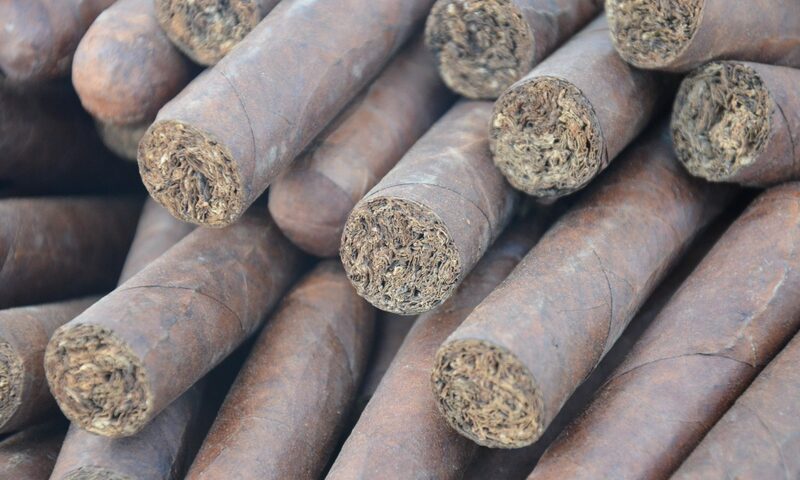 A place to discuss, share, and enjoy our favourite cigars. A little over a year ago, my friend Greg and I were taken by our buddy Jiolys to the Partagas Store in Habana Viejo (not to be mistaken with the Partagas factory, some three kilometres away). The back yard neighbour of El Capitolo, at the right time of day the store’s awning will find itself shaded by the shadow of the great edifice’s giant cupola. With that said, it is only slightly off the beaten track, and if you don’t know it is here, you may easily overlook it. We were there amongst a group of stereotypically loud tourists from 90 miles away, so the manager invited us to sit and relax in their VIP lounge. It was like going behind the curtain at a quiet restaurant to find the sanctum sanctorum. Beautiful leather chairs, gorgeous decor; it felt like the smoking room of a men’s club from another century. Despite it being fourteen months ago, I remember the following things: we smoked Cohiba Pyramides Extras, we drank spectacular cappuccino, and we had a wonderful and relaxing time. When I dropped Lisa off at the Ritmo Cuba Festival this morning, I made a snap decision. I asked the taxi driver to drive me back there. We negotiated a price, and fifteen minutes later I was there. There is something you need to know about Cuban cigar factories, and I mention it because upstairs from the store there is one of these. As with so many of he tourist areas, you will be accosted by taxi drivers, and people trying to sell you counterfeit cigars. They don’t call them that of course… they all have a friend brother aunt godfather cousin lover or grandson who works at the factory, and steals the boxes. Don’t believe them. Because the Partagas Store shares an entrance with the factory, these people, when not otherwise occupied, will try to prevent you going inside. ‘There are no tours here, this factory is closed. Come in my taxi and I’ll take you to the other factory.’ ‘You want cigars, I give you good price! Bon precios!’ Thanks, no… and walk right by. When you walk into the Partagas Store it may feel bigger than some of the others; that is likely because they have a cafe (and bar) with a sitting area. There are two counters of cigars, plus the display cabinets in the centre. Oh, and they also sell shirts. I know, weird. But it is definitely worth visiting. The last time I was here, I picked up a hard to find jar of Noellas, along with whatever else I bought. This time my goal was simple: I planned to smoke a Partagas cigar in the Partagas VIP Lounge… and that is exactly what I did. As I was buying my cigars, I struck up a conversation with Kevin Goodman, a tourist off a cruise ship from South Florida. We were fast friends, and I asked if he had ever been in the lounge. ‘I have never been invited.’ I spoke with my friend the manager and made sure it was okay, and after ordering our drinks from the cafe (Buccanero for him, espresso for me), we went in to light our sticks. Kevin and I had a great chat about everything from cigars (which we discussed at length) to Cuba, politics, and the Internet. We discussed where in Eastern Europe our families escaped from, and his grandfather, the only Jewish mayor of Baltimore. We exchanged contact information so that the next time geography permitted we could get together again. Sadly, his ship was leaving port at 1:30, and he wanted to find La Floridita before he left. After our cigars (We each smoked a Partagas Serie P No. 2), we headed out to Hemingway’s Daiquiri Bar. Kevin may be the first person I have ever taken to La Floridita who did not ask to take a picture with the bronze statue of Hemingway; we connected with another couple off his ship, and discussed the effects of Hurricane Irma on his condo in St. Thomas. After three hours, two cigars, and several drinks we parted ways along Obisbo Street, as we both rushed to our next engagement. I have been to La Floridita several times, and was surprised that they have converted to a non-smoking environment. What is this world coming to? The only thing better than drinking a daiquiri while listening to live music is being able to smoke a puro while doing so. Oh well… even in Cuba, I suppose the times are a changing. Back to the Partagas Store, they have an excellent selection of all of the standards, but I did not find any of the Limited Editions that are so popular. I didn’t mind, I have what I need. Their VIP Lounge, far from the maddening crowds (just the other side of the door marked PRIVADO) is possible the largest such room I have visited here. There are three separate seating areas, each furnished with high quality plush leather seats. If you are looking for a quiet place to sit and relax with a coffee or drink (no cocktails, but you can buy the rum and the coke and mix your own) then this is the spot… but please, don’t ask to go in if you are not spending decent money there, unless you have already been invited in before. One more thing I like about their VIP room is their cigar storage room that extends along one long wall, and has a glass wall so you can see the myriad boxes they have in stock, if not on display. It afforded Kevin and I the opportunity to discuss the various Romeo y Julieta vitolas called Churchill… Short, Wide, and Mini. If you are planning to visit several LCDH stores in Havana, make sure this one is on your list. Previous PostPrevious Bienvenido a la Habana!